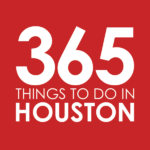 Every week we showcase enterprising Houstonians in “My Top 5,” where they share their five favorite things to do in Houston. This week we check in with Mario E. Figueroa, Jr., also known as Gonzo247, who founded and runs the Aerosol Warfare Gallery and created the “Houston Is Inspired” mural near Market Square Park on a commission from the Greater Houston Convention and Visitors Bureau. by Gonzo247 | Mario E. Figueroa, Jr. Visiting the Saint Arnold Brewery for Some Brew, Lunch and a Tour – I love that I can taste such a wide variety of hand-crafted beers. I love drinking beer and for a beer connoisseur it’s a great one stop shop for tasting brew. It’s the oldest craft brewery in Texas and they make me feel like family when I’m there. It’s kind of like the old school sitcom Cheers, where everybody knows your name and you’re bound to run into someone you know … or better yet, you meet new people. Digging for Vinyl at Sigs Lagoon – I really enjoy thumbing instead of clicking every once in while. They have a great selection of records to thumb through and its always great when you find that golden nugget record that you weren’t expecting to dig up or you had forgotten about. I enjoy playing my records at home and when I dig for records it’s like I’m digging through memories taking me back to a time in my life when vinyl was it. Grabbing lunch at The Houston Food Park in EaDo – I can’t get over the variety of food trucks that show up at this cool spot. The prices are within my artist’s budget and I always enjoy what I purchase. Most of all, I really enjoy trying new, crazy concoctions of grub and the park features with some innovative food truck chefs. Spending an evening Alice’s Tall Texan Drive-Inn with my Houston family – Don’t get me started on the fish bowl-sized goblets they serve the beer in! It’s my hole-in-the-wall, getaway bar. Here you’ll find the old-schoolers who have been chatting it up there for years and then the new generation of unicorn tear drop drinkers. Time flies while there listening to the jukebox and catching up with friends and fam. Listening to local bands live at Revention Music Center, Free Press Summer Fest and Warehouse Live – I love checking out the music scene in Houston when I have time. It is always great to discover new bands or to see local bands emerge onto a larger stage and receive the recognition they deserve. As I get older these places and events are a sure shot for me to go to catch up with the local music scene. About Gonzo247 | Mario E. Figueroa, Jr.
Born and raised in Houston, Mario E. Figueroa, Jr. is an artist, art curator and founder of Aerosol Warfare Studio. He began working in graffiti and street art at the age of 13, which led him to discover and pursue the larger world of arts. He creates under the nom de can GONZO247, under which he painted one of his most highly visible creations, the Houston is Inspired mural, under a commission from the Greater Houston Convention and Visitors Bureau. He has participated in more 50 exhibitions and art projects, served several community events, taught his medium and volunteered time to fellow artists and art groups.